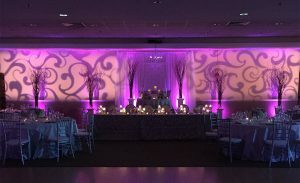 Monogram gobos instantly add elegance to weddings but can be used for so many other events. 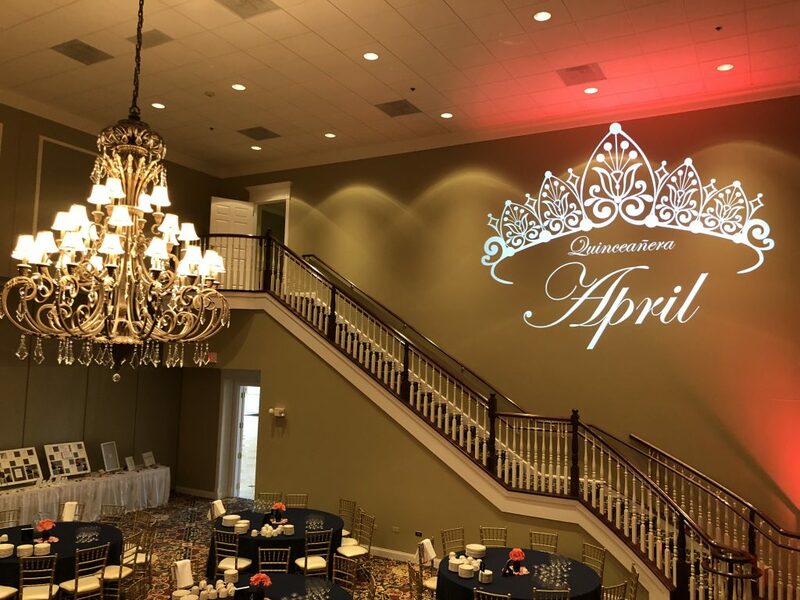 From sweet sixteens and quinceaneras to baby and bridal showers, a monogram gobo is the perfect personal touch to any special occasion. It also makes a unique keepsake that can be reused or cherished as a reminder of the significant moments in your life. Choose from classic stock designs or create your own custom gobos for milestone events that you’ll remember for years to come. A sweet sixteen or quinceanera is all about making the birthday girl the center of attention. 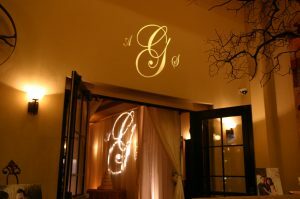 At this coming of age celebration, put the guest of honor’s name in lights with a monogram gobo that matches her unique personality. Choose from hundreds of stock Sweet Sixteen metal and glass gobos and Quinceanera metal and glass gobos or design your own custom gobo that matches the party’s theme and represents the young lady of the hour. Your friends are getting married so it’s time to uncork the champagne and put the happy couple in the spotlight at these pre-wedding celebrations. For the engagement party design a custom ‘Mr. & Mrs.’ gobo with the new last name to project across the wall of your venue. We also love this glass wedding gobo with the couple’s first names written above two champagne flutes. At the bridal shower, project a special message for the bride-to-be above the gift table. 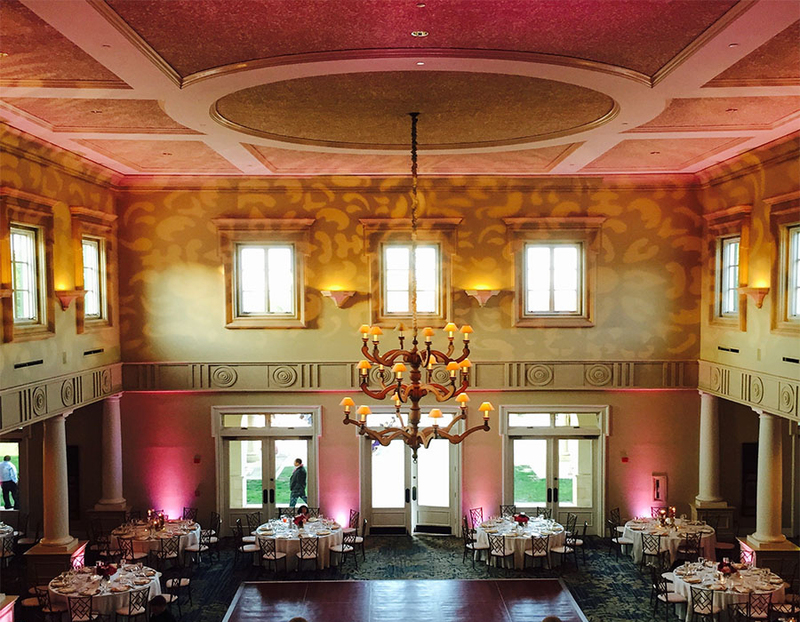 Of course, the classic event for a monogram gobo is the wedding itself. 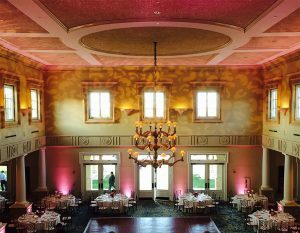 Choose a traditional monogram gobo with the couple’s initials or use the bride and groom’s full first names with the date of the wedding below. You can reuse the wedding gobo at every anniversary or create an updated version that includes how many years of marriage they’re celebrating. The Jones are having a baby boy and you’ve spent hours scouring Pinterest for cute decor ideas and party themes. You want their baby shower to feel truly special but it feels like everything’s been done before. 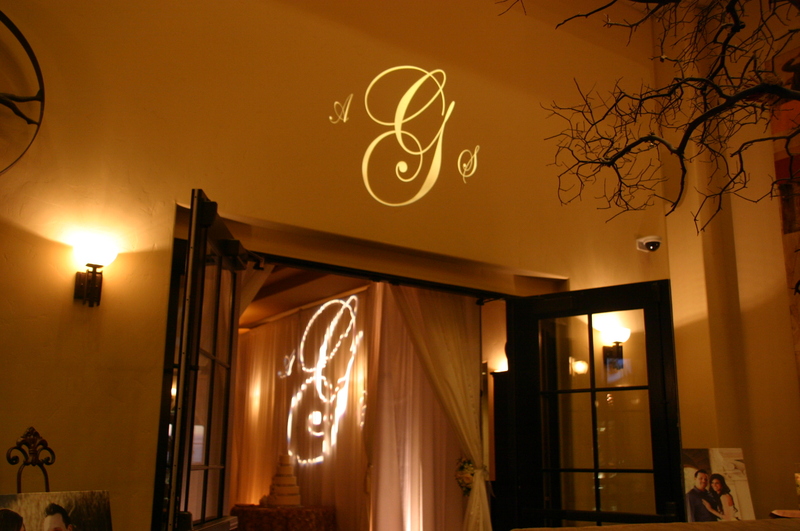 All you need to add that extra personal touch is a custom monogram gobo with the family name. Put ‘Baby Jones’ in lights above the gift or dessert table or use it as a memorable photo backdrop. The new parents will feel truly loved and supported by their friends and family with this thoughtful touch. They’ve walked across the stage and thrown their caps in the air and now it’s time for the real celebration to begin. Surprise your graduate with a custom monogram gobo featuring their initials or full name and their graduation year. Add the school mascot or a symbol that represents their area of study for a special touch. Monogram gobos are a simple yet meaningful way to show how much you care for the person you’re celebrating. 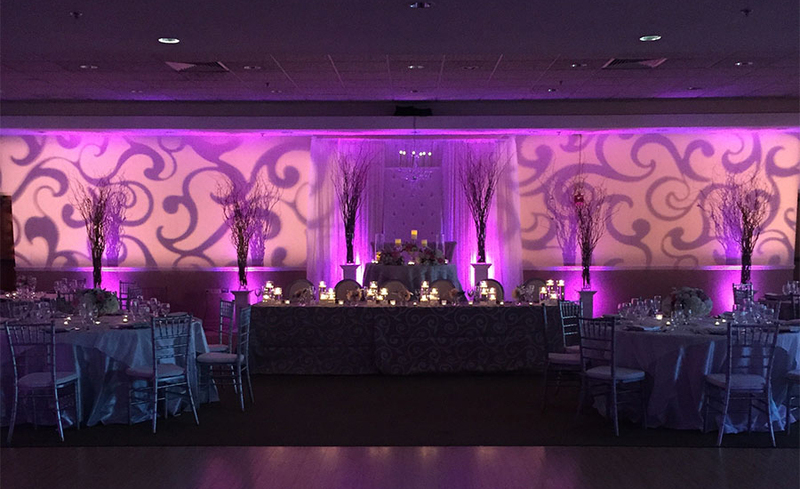 Create your own custom glass gobo for any special occasion or browse our entire selection of special occasion gobos by downloading your free Monogram Gobo PDF Catalog or visit our Monogram Gobos page. Posted on June 19, 2018 by gobosour. This entry was posted in Events and tagged anniversary monogram, event decor, event decorating, monogram, monogram gobo, monogram gobos, personalized gift, quinceanera monogram, special occasion, sweet 16 monogram, wedding decor, wedding monogram. Bookmark the permalink.